This is not the sky over a Tolkien kingdom. This is an image captured over Brisbane, Australia of the Sun and Moon setting together on April 29th. This was the first solar eclipse of 2014, seen as a partial solar eclipse, according to NASA. 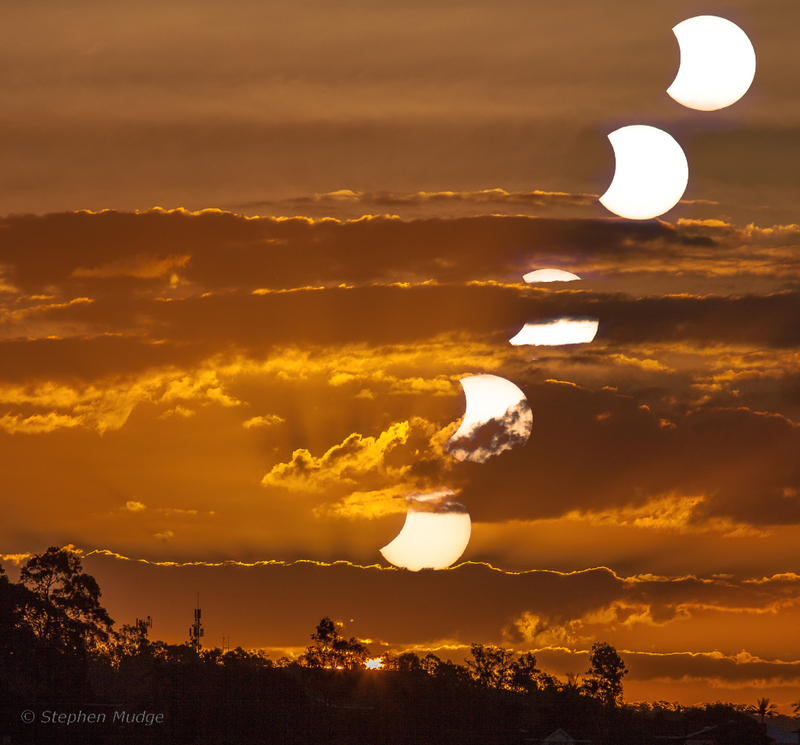 The dramatic image combines a series of photos taken around 5 minutes apart with a telephoto lens with a solar filter. The infamous "ring of fire"--the entire darkened Moon surrounded by a bright burning 360-degree halo from the Sun was only visible from a remote stretch of land in Antarctica. (Lucky penguins.) Trudging all the way there just for the thrill of seeing it wouldn't have been much use, perhaps; the "ring of fire" only lasted around less than a minute, as we reported here on Big Think.